"Galpin Auto Sports customizes ALL makes and models on ANY budget! From window tinting, supercharging, specialty customizing, mind blowing gadgets and jaw dropping color creations, to a one of a kind retail experience, Galpin Auto Sports is a one stop Shop for all your automotive needs. Our dedicated and passionate crew looks forward to your visit and here is to answer questions and brainstorm the conception your next vision." Galpin Auto Sports (or GAS) is an American automobile dealership and automobile repair shop located in Van Nuys which specializes in customizing and remodeling vehicles specifically for their drivers. They also provide spare parts. The shop was founded in 1946 by Frank Galpin and later purchased by Bert Boeckmann. Galpin Auto Sports is the car garage featured on the USA version of MTV's Pimp My Ride hosted by Xzibit. The show was moved from West Coast Customs to GAS in the 5th and 6th season. They also own a second-hand car shop. On site at the main garage is an extensive array of customized cars which can be bought direct from the garage. GAS's work can also be seen on the new television show Knight Rider. 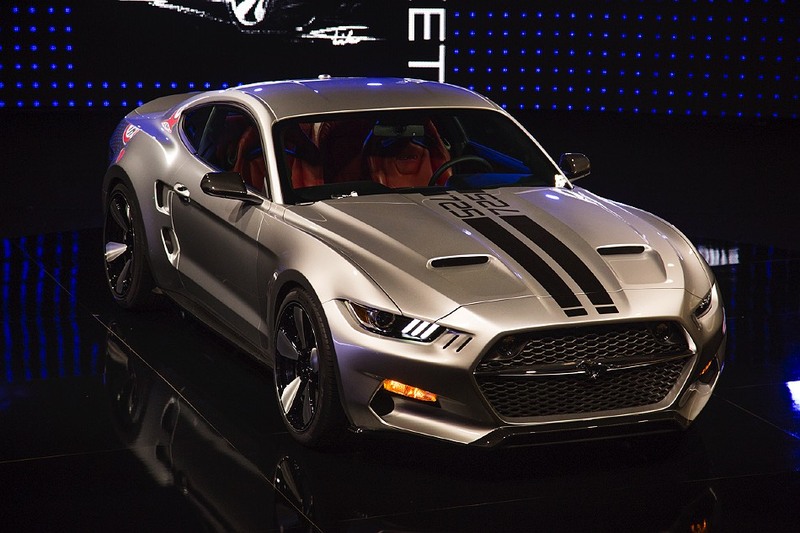 They were asked to create the star of the show, a new version of the 2008 Ford Mustang called the GT500KR. "GAS had one week to create the new KITT, and they pulled out all the stops. Six people worked full time to create the Mustang that would be sent over to Picture Car Warehouse as the father of all the KITT derivatives and stunt cars." "Galpinized" custom-designed vehicles have won national attention and awards. Galpin Motors is the number one volume Ford dealership in the world, and "the top California car dealer(s) with more than $700 million in annual sales", including well-known auto brands such as Ford, Lincoln, Mazda, Jaguar, Volvo, Aston Martin, Lotus, Honda and Subaru.